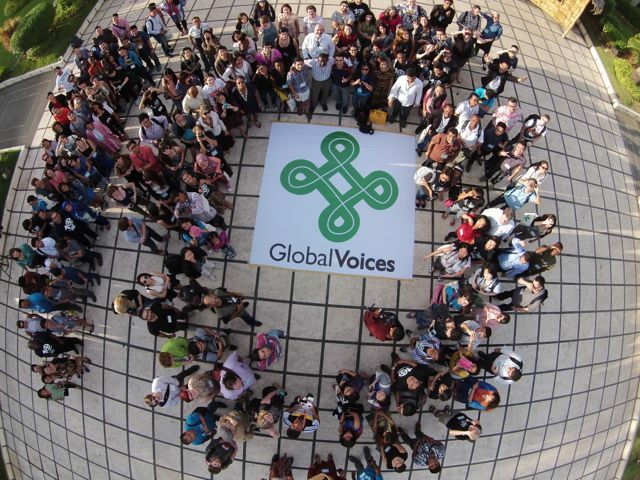 Global Voices community members from 60 countries captured by a drone. Image courtesy @ka_bino and PR Works. 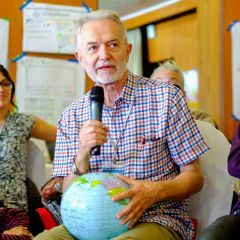 I spent last week in Cebu, the second largest city in The Philippines, with three hundred journalists, activists and media scholars from more than sixty countries. The occasion was the Global Voices Citizen Media Summit, a biennial conference on the state of citizen media, blogging, journalism and activism. This summit coincided with the tenth anniversary of Global Voices, the citizen media website and community Rebecca MacKinnon and I helped to found in late 2004. This year’s incarnation (which I had absolutely nothing to do with planning!) reset expectations about what the Citizen Media Summit could be. It was two packed days of panels, workshops and discussions, tackling some of the most interesting a challenging problems facing online writing and activism: threats to the open internet, social media and protests movements, trolling and online abuse, intermediary censorship. I found myself blogging and tweeting frenetically, trying to capture the conversations I was hearing in panels and the halls, soaking up as much news, information and perspective as I could from friends from around the world. Global Voices editors and authors will be processing notes from the sessions into articles over the next few days, but I decided to use my flights from tropical Cebu into a northeastern blizzard to reflect on some of the key insights I got from the Global Voices community, the amazing Filipino netizens who hosted us and our guests from around the world. 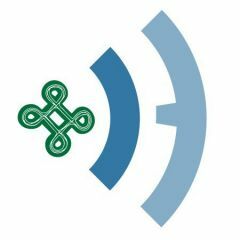 Global Voices started as a project that rounded up blog posts from around the world, when possible organizing them into themed stories illustrating an aspect of the social media conversation in a country or region. 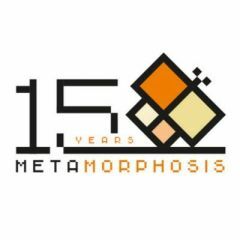 Over time, we began offering citizen media perspectives on breaking news through the eyes of publicly readable citizen media: blogs, tweets, videos and public Facebook posts. I’m starting to wonder whether we’re going to be able to keep operating this way in the future. Increasingly, citizen media is private, or semi-public, which raises really interesting questions about how we use it in our journalism. For example, in China, many political discussions shifted from Weibo (which is primarily public) when the company began verifying the identities of users. Many of those discussions moved to WeChat, where groups with hundreds or thousands of members feel like listservs or bulletin boards. Is it ethical and fair to source stories from these semi-public spaces? There’s probably no general answer – it’s likely to be something that needs to be answered on a case-by-base basis. If the answer is that something can only be published if everyone on the list agrees, it’s going to make it very difficult to continue doing this work, and we’re likely to lose some of the ability to report on important conversations that haven’t reached broadcast media. If we don’t handle these questions carefully, we’re going to alienate the people we’re hoping to work with an amplify. Whether conversations in these spaces are treated as public or private speech will be deeply important for journalism as more conversations move from explicitly public social media spaces into these complex semi-public spaces. Many of our conversations with activists suggested that the organizational work of activism has shifted from public-facing tools like Twitter and Facebook into mostly private tools like WhatsApp. When revolutionaries start planning social movement on WhatsApp, the architecture and policies of the platform become matters of intense importance. WhatsApp’s designers likely didn’t anticipate their app being used to coordinate revolutions, and once the tool is used that way in repressive environments, it raises questions of whether the platform is sufficiently careful in protecting its users. One answer is for activists to move to more secure platforms, like TextSecure. I’ve long argued, though, that most activism happens on the most accessible platforms, so it’s not easy to talk activists off from WhatsApp. That makes efforts like Moxie Marlinspike’s successful campaign to get WhatsApp to use end to end encryption incredibly important. Platforms also matter because they control what speech is possible. Rebecca MacKinnon’s “Consent of the Networked” has been the key text for people to understand the problems of intermediary censorship, and in a session she ran on her new project, Ranking Digital Rights, Jillian C. York of the EFF explained that she sees community moderation policies as functionally controlling what sort of speech is possible on Facebook. Jill now worries more about corporate controls on speech than government controls, citing instances where Facebook has taken down pro-Palestinian speech that had been incorrectly flagged as supporting terrorism, while allowing far more inflammatory pro-Israel speech. 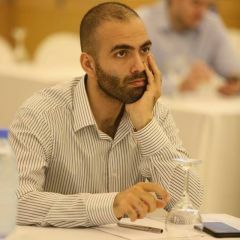 The simple fact that Facebook took down the “We Are Khaled Said” Facebook group – which it later celebrated for helping organize the Tahrir Square protests – shows that the platform often gets speech issues wrong, with potentially serious consequences. For some members of the Global Voices community, the failure to remove hate speech from these platforms is as disturbing as the potential of these platforms to be censored. Thant Sin from Myanmar described the ferocious climate of Burmese-language Facebook threads, where violent threats against religious groups, particularly the Muslim Rohingya, are alarmingly common. When he worked with other Myanmarese Facebook users to detect and report these threads, they were unsuccessful, for the basic reason that Facebook’s moderators could not read Burmese. When I tweeted this, Elissa Shevinsky – CEO of Glimpse, a messaging app startup – asked why Facebook doesn’t simply hire Burmese speakers to address this issue. The answer is simple and unfortunate: the abuse team at any social media company is viewed as a cost center, and is inevitably under-resourced. Facebook and other companies rely on “flagging” by community members to identify content that should be further investigated or removed. (Kate Crawford and Tarleton Gillespie wrote a wonderful paper titled “What is a Flag For?” which explores the limitations of flags as a way of controlling and commenting on online speech – it’s a must-read for people interested in this topic.) When flagged content is in an unfamiliar language, Facebook has two bad alternatives: they can leave it (potentially ignoring hate speech) or block it (potentially censoring political speech.) Perhaps Facebook shouldn’t expand into markets where they cannot adequately monitor their content… but it’s hard to demand that a company develop robust mechanisms for abuse in a language before they have users in that language. I’m a wordy guy, as anyone who’s fought through one of my blogposts knows. But one of my big takeaways from this conference was the power and prominence of images as a form of political speech. Georgia Popplewell organized a massive session titled “The Revolution Will Be Illustrated”, where 13 Global Voices community members introduced us to work by cartoonists, illustrators and designers from their countries. Many of the artists featured were traditional cartoonists, like Crisis Valero of Spain or Mexican-American cartoonist Lalo Alcaraz. 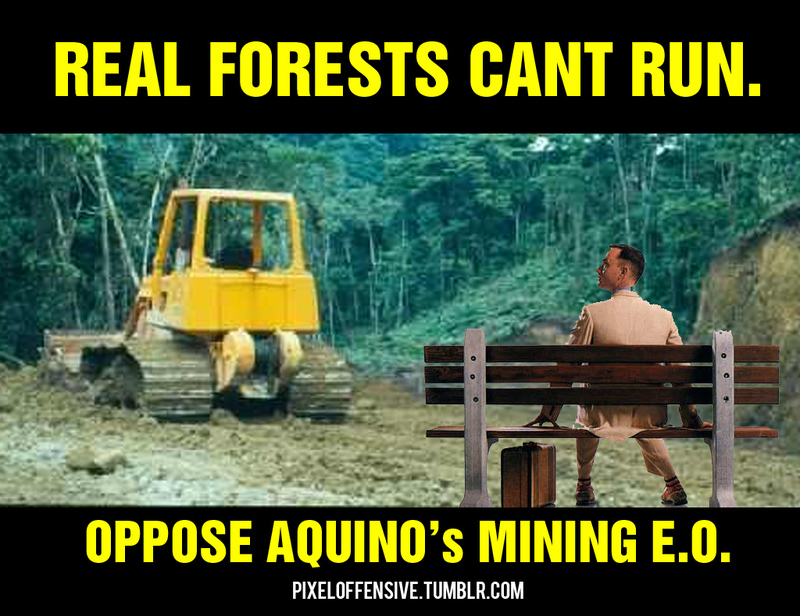 But a few were graphic designers like Filipino activist Pixel Offensive, or Global Voices’s own Kevin Rothrock. Pixel Offensive produces simple, eye-catching graphics using images of Filipino politicians recontextualized, captioned and otherwise remixed. PXO’s work has a distinct color signature – yellow and black – which are the colors of the Aquino government. It’s a visual hijacking of the Presidential brand. PXO’s work isn’t as artistically skillful as that of an artist like Alcaraz, but that may well be part of the message: visual activism should be open to everyone who has something to say. Kevin Rothrock clearly got that message. Co-editor of RuNet Echo, Global Voices’s opinionated and often controversial section focused on the Russian internet, Rothrock enjoys making trouble online, taunting the trolls who respond to his coverage. 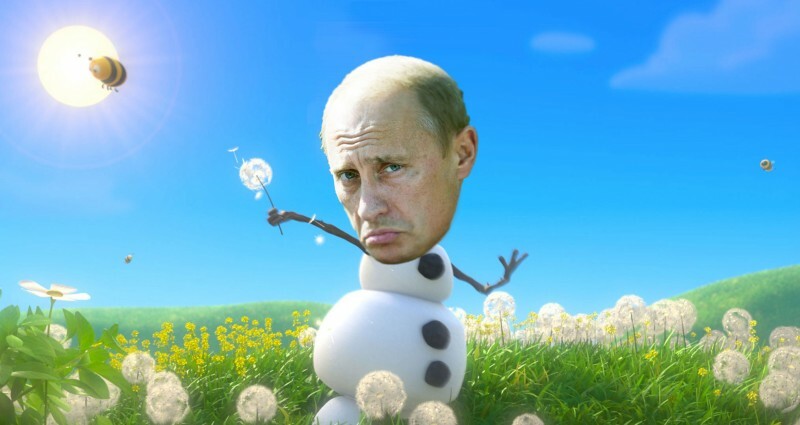 His posts for Global Voices are usually accompanied with satirical collages, where Vladimir Putin is remixed into every conceivable internet meme. Not every collage works for me, but some are hilarious, and it’s easy to imagine them spreading virally online. Image mixed by Kevin Rothrock. What I most appreciated about Rothrock’s talk was that he encouraged the bloggers and writers in the audience to adopt his simple collage techniques for their own work, offering tricks of the trade. (Logos work well, as they’re designed to work in lots of different contexts, and Vladimir Putin shirtless, on horseback, makes any scene better.) Much as activists have learned to speak in short, tweetable statements to get their message to spread online, it may be time for activists and journalists to learn how to craft fast-spreading visual memes in the hopes of reaching broader audiences. One of the major messages from the conference was the idea that protest movements are increasingly focused on their own media representation. Tetyana Bohdanova, a Global Voices author from Ukraine, explained that Euromaidan protesters watched media reactions to their movement with increasing dismay, as credulous journalists adopted simplistic narratives. We tend to think of protesters as developing simple, sharp, propagandistic messages to motivate their followers. Instead, Bohdanova suggests that Euromaidan protesters were often in the odd position of fighting for subtlety and nuance, explaining the concept of “a revolution of dignity” to the press, who wanted to see the protest as a simple battle between Russia and the EU. My colleague Sasha Costanza-Chock argues that making media is a fundamental part of making protest movements, and stories from the Citizen Media Summit seem to support that contention. From Ukraine to Gaza, activists are tweeting in English to try and influence portrayals of their movements. Understanding social media as a channel for mobilization – the most common narrative about technology and protest – gives us only a partial picture. For activists and protesters, media is at least as important once people are in the streets, to report what’s happened, to document abuses and to represent the movement to the world. The Philippines is hit by an average of twenty typhoons a year, including massive storms like Typhoon Haiyan, which killed 6300 people. Isolde Amante and other Filipino colleagues explained that citizen media has become a primary source of information in these crises, that newspapers are far more likely to hear about these events via social media than via radio or other broadcast channels. There have been lots of stories celebrating the power of social media to assist with crisis response – how Ushahidi was used to assist recovery efforts in Port au Prince after the Haitian earthquake, for instance. But these accounts usually describe social media contributions as an epiphenomenon. Conversations in the Philippines suggest that we might expect social media to take a lead role in breaking the news of disasters and, possibly, in coordinating responses. That phrase comes from Phil Howard’s forthcoming book “Pax Technica”, and it struck me as helpful in processing the conversations we had at Global Voices. We’ve always considered Global Voices to be a journalistic project – we’ve asked our authors to cover conversations taking place in their national online spheres in a way that’s balanced and fair, even if we reject classical notions of journalistic objectivity. But it’s also clear that many of the folks involved with Global Voices are passionate advocates for various causes: for freedom of speech online, for their nation to be represented differently in international media, for political causes. Increasingly, I feel like Global Voices is a platform for “advocacy journalism” in the best sense of the term: much of it advocates for change in the world and features the people fighting to make those changes. And Phil’s description of social media as being about taking sides seems right to me. Those sides aren’t explicitly political – people using social media for hurricane relief are taking sides against a natural disaster and for the benefit of the victims. But the line between asking for friends and followers to pay attention to you and trying to harness that attention for change is a blurry one, and much of what works in social media presumes a position of advocacy. For me, Global Voices summits are always a joyful time, a chance to reconnect with old friends and make new ones. This one was also wonderful food for thought, and I can’t wait to continue these conversations with the community over the next two years until we see each other in person again. 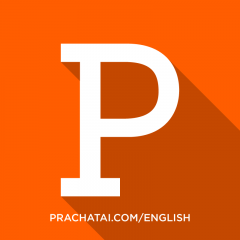 This post was originally published on Ethan Z's blog. 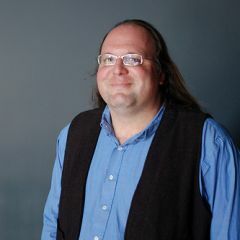 Ethan Zuckerman co-founded Global Voices in 2004, while he was a Berkman fellow at Harvard University. He currently directs the Center for Civic Media at MIT, and teach at MIT’s Media Lab. In 2013 Ethan's first book “Rewire: Digital Cosmopolitans in the Age of Connection” was published. Game of Thrones and climate change: brace yourselves, summer is coming!